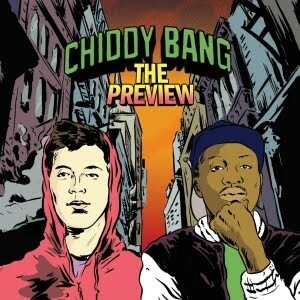 Chiddy Bang is described as an "alternative hip hop band," but they can also be described as "nerdcore" (inaccurately) or "lamecore" (far more accurately). With a little of bit of Peter Pan, a dash of Super Mario Bros. and a big steaming helping of Lucky Charms, this duo is the musical equivalent of those Facebook groups like "121 Things A True 90s Kid Knows," where the answer to every question is "Urkel" or "Razor scooters." They're still good, don't get me wrong — I'd certainly pay to watch people rapping about the same subjects 13-year-old me would have. The third track off the EP, "Opposite of Adults," features these lyrics: "Can I please get a little bit of knowledge/Somebody tell Roth that I don't love college/'Cause the real world's kinda like Real World/And it's drama so you are Svetlana and I'm just a rhymer/Swimmin' in the water tryin' to dodge the piranhas and fly to Bahamas." Do I know what all of those things are? No. Do I laugh and clap my hands when he rhymes "piranhas" with "Bahamas"? Of course. The Age of Adz, Sufjan Stevens — Remember Stevens' 50-state project, which he abandoned two states in? Yeah, he's kinda doing whatever the hell he wants now. Including a 25-minute journey into the center of your navel in "Impossible Soul." Seriously. 25 minutes. Girls Like It Loud, Care Bears on Fire — I was sold on the album name. I fell in love when I found out the band name. When I heard the music, a little part of me died: You shouldn't be able to be that awesome in every possible aspect of an album. TV/EP, Less Than Jake — It certainly is ballsy to name every track on your album after channels: Channel 1, Channel 2, etc. Great marketing gimmick, unless people are looking to like, buy it on iTunes or request it on the radio. But I guess if you're just going to do an entire album of TV theme covers, originality isn't that important. Write About Love, Belle and Sebastian — Most wouldn't expect much out of a Scottish indie-pop band, but if ABBA (freaking Swedes) can do it, anyone can, right? This release is a little more mellow than those in the past, but not nearly as melancholy. 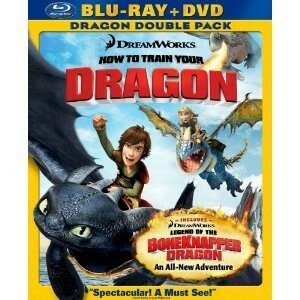 Aside from having one of the most easily turned-into-a-double-entendre titles since Toy Story, How To Train Your Dragon turned out to be one of the better non-Pixar animated movies in what looks to be a tough year to win the Oscar for Best Animated Movie (assuming, of course, Toy Story 3 wins Best Picture). I mean, sure, it wasn't as good as Kung Fu Panda*, but it's hard to live up to what essentially amounts to an animated Chris Farley movie — because everyone knows the beauty of physical slapstick comedy is in the voice-acting. But I'm getting off the point. How To Train Your Dragon accomplishes the surprisingly difficult task of making animated characters seem real, in the sense that their motivations and inner feelings (which in live-action would be up to the actor) are expressed well enough through inflection and facial expressions. Fun for kids, fun for adults, it's a great movie … until they try to wrap up the story, the premise of which is completely illogical**. Other than that, though, good flick. Jonah Hex — Josh Brolin stars alongside Megan Fox's heaving mammaries in this Clint-Eastwoodian tour de awful. Quick, which of these is best: Jonah Wrex, Jonah Hax or Jonah Sux? Leaves of Grass — I have a not-so-secret man crush on Edward Norton, so double Eds (he plays his identical twin) is usually a bonus. But just because you set out to do a Coen Brothers movie doesn't mean you can pull it off. Trailer Park Boys Season 1 — If you haven't seen Trailer Park Boys, you can't very well call yourself a good Canadian. I mean, I know you would never want to, but after seeing TPB you might find yourself eating more maple syrup†. Also, they're at the Bing on Oct. 25. Go see them. Margaret Leng Tan: She Herself Alone: The Art of the Piano 2 — I … she … what? Did The Art of the Toy Piano really need a sequel? Guns! Explosions! Terrorists! 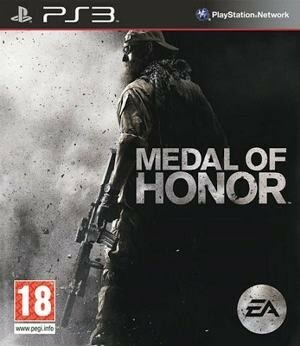 Apparently, playing Medal of Honor is a bit like going to a Michael Bay movie: Sure, everything's pretty, but it's not like anyone bothered to think up a story or figure out a way to make the characters interesting in any way whatsoever. Think America's Army, only instead of it being paid for by the government and distributed free, you can pay $60 to play it! Whee! Unfortunately, the one part of this game that might have made it interesting — being able to play as the Taliban — was renamed after a tremendous amount of public outrage. Because kids playing things in videogames often go out and do them, which is why so many American children joined the Nazis after the spate of WWII games came out in the late '90s/early aughts. I can understand some people don't want to play as the Taliban, but the proper solution was for them to choose the other team when it came time for them to pick their characters. But of course, the people who got all angry about it aren't actually ever going to play the game — they were just bored and wanted to find something new to yell about. As for the game, like a Michael Bay movie, a lot of money has been put in to making the booms sound BOOM-y and the explosions sound EXPLODE-y. You should not be playing this trapped in the study room by yourself on your gaming laptop — you should be sitting alone in your apartment in front of the enormous TV you bought instead of making friends in the real world, soaking in the uber-realistic body parts flying off the Taliban terrorists. Just Dance 2 (Wii) — You know what, game developers? I'll make you a deal: You stop making stupid dance games, and I'll stop making fun of them. Until then, REALLY? Super Scribblenauts (NDS) — The sequel to the wildly popular Scribblenauts has apparently fixed everything that was wrong with the first one … and to be honest, there wasn't much wrong with the first one. Playstation Move Shooting Attachment (PS3) — Just wanted to point out that, like the controller add-ons for the Wii (excluding the Motion Plus, which actually does something), the stupid plastic grips they're going to sell for the PS3 Move will be just as expensive and just as useless. Borderlands: Game of the Year Edition (X360, PS3, PC) — Remember that game that came out a year ago? The one you can find on Amazon for $30? Well, now you can get it and the DLC for it for $60! More money for the same thing, you guys! It's capitalism! Hooray! * Just so we're clear, Kung Fu Panda was a terrible movie. Can't emphasize that enough. † Though seriously, only Canadians could screw up bacon. Attention all puck-slapping maple-suckers: Bacon and ham are two separate things.